Santa has kept the wheels on the Island turning – quite literally – for over ten years. 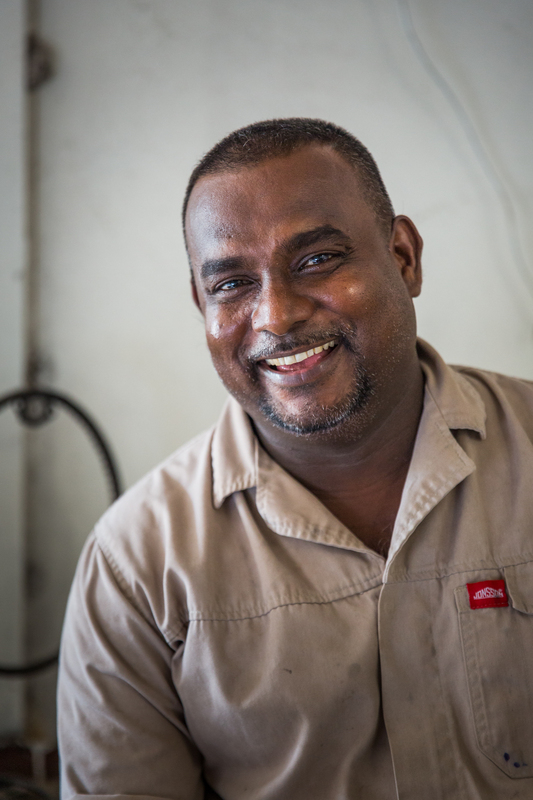 As a Generator Technician and Diesel Mechanic he maintains North Island’s machinery and engines, from generators to club cars and everything in between. With 20 years of experience under his belt, he is as reliable as the machines he builds. Santa was born and raised in Sri Lanka where he trained for four years on diesel and petrol engines. He went on to work at Peugeot in Sri Lanka before taking a post at Peugeot in Dubai for a further six years before joining North Island’s Maintenance team in July 2007. The Seychelles’ climate, similar to that of Sri Lanka, reminds him of home and he loves the Creole culture, especially the food. 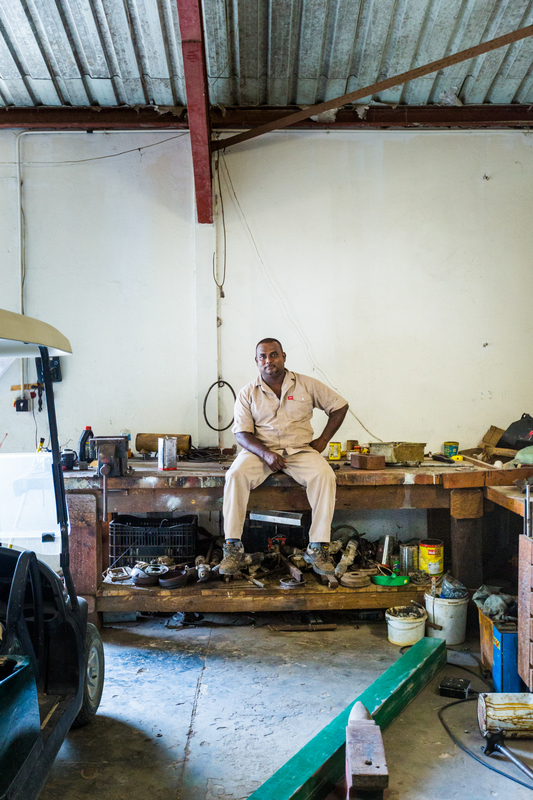 His biggest challenge yet was refurbishing a rat trailor – by hand. It is an integral asset that is used in the Island’s day-to-day rat prevention procedures. North Island has been rat-free since 2005 and Santa’s trailor plays an important part in ensuring that it stays that way. Everything that arrives on North Island by boat is checked onboard before it is offloaded and hand-carried across the beach (nothing touches the ground) and is immediately sealed in the rat trailor, which is then driven to a secure room to prevent anything from potentially escaping. Only once inside can the trailor be unlocked and goods moved to a second clearing room for inspection. North Island has a fleet of 35 electric club cars, 6 petrol club cars and 2 TLB tractors. Maintaining these valuable assets is a big job, but it is always done with a huge smile on Santa’s face. He knows how important his job is and likes to go the extra mile. 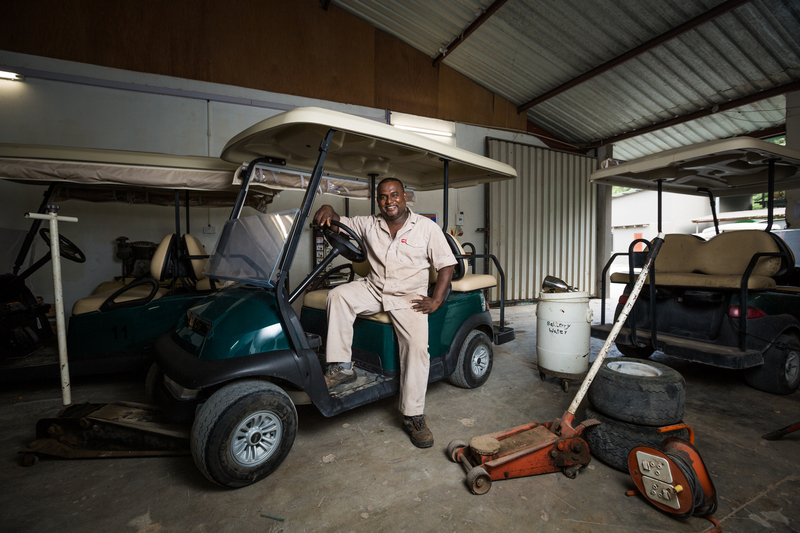 When ‘front-of-house’ staff members are too busy to bring their buggies into Maintenance for a service, he collects them in between tasks and services them before returning them in the exact spot, with shiny rims and trim after a surprise wash and polish. Just because he operates ‘back-of-house’ does not mean he is not service-oriented – a value we regard highly in all our employees. In his spare time, Santa enjoys swimming on the beach and playing billiards among friends in the staff village. But his favourite pastime is to play cricket. The Sri Lankans, Indians and South Africans all get together to play a “friendly” match on the helipad.